Marion McMullen previews a cosmopolitan city festival. TOP international drama will be served up in bite-size pieces for audiences in the Midlands. The BE Festival launches in Birmingham on Monday with companies from Japan, Russia, Italy, Belgium, Spain, Switzerland, Spain, France, Holland, Portugal, Romania and the UK all taking part. They will be offering four 30 minute shows each night during the week-long event and there will also be live music, visual art and the chance to attend workshops and meet the performers. Royal Shakespeare Company actor Greg Hicks is among this year’s workshop leaders and will be combining Shakespearian verse with contemporary movement techniques in teaching his unique approach to performing text. Festival press officer Emma Berge says: “It’s a great opportunity to see theatre that you wouldn’t see anywhere else in Britain ... and a great chance for collaboration and exchange of ideas. Performances for the annual festival of European theatre take place at the old metalworks factory at AE Harris in Birmingham’s famous Jewellery Quarter, MAC at Cannon Hill Park and Birmingham Rep Studios at Albion Street and opens on Monday with Spanish company Sleepwalk Collective whose work won them a residency at MAC last year. 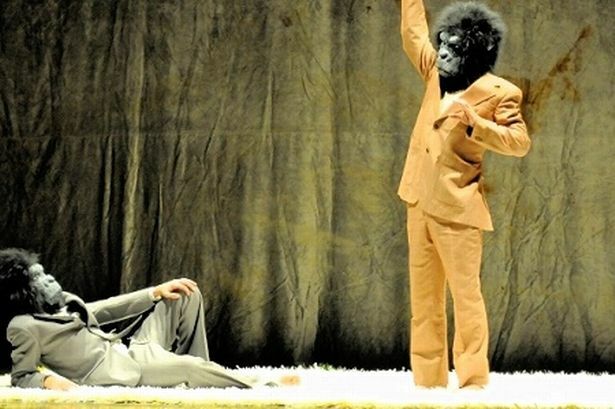 Festival highlights also include masters of physical comedy and mime from Romania’s Dan Puric Passe-Partout company, a laughter special with Italy’s Teatro Sotteraneo and L’Autruche (The Ostrich) by The Plasticine Men. The Elephant in the Room by BE Mix (Made in Birmingham) also marks the culmination of a year-long international theatre experiment in which all the companies were asked to nominate one performer to stay in Birmingham for a week. A group of 10 artists from different countries came together to create the new piece provoked and inspired by the work of resident visual artist Federico Sancho, exploring Birmingham’s shifting industrial identity. * Go to www.befestival.org for ticket details.